OCXO SMD Oscillators | QVS Tech, Inc.
An Oven Controlled Crystal Oscillator (OCXO) is a type of oscillator that is placed in a temperature-controlled chamber in order to keep the quartz crystal at a constant temperature. This is done to prevent changes in the frequency triggered by variations in ambient temperature. OCXOs require more power than oscillators that run at ambient temperature, due to heater power requirements. OCXOs are also larger due to the requirement for the heater, thermal mass, and thermal insulation. Therefore, this type of oscillator is not used in battery powered or miniature applications like watches. SMD OCXOs are typically used in digital TV-tuner, digital video, DVD, and portable MP3 players. 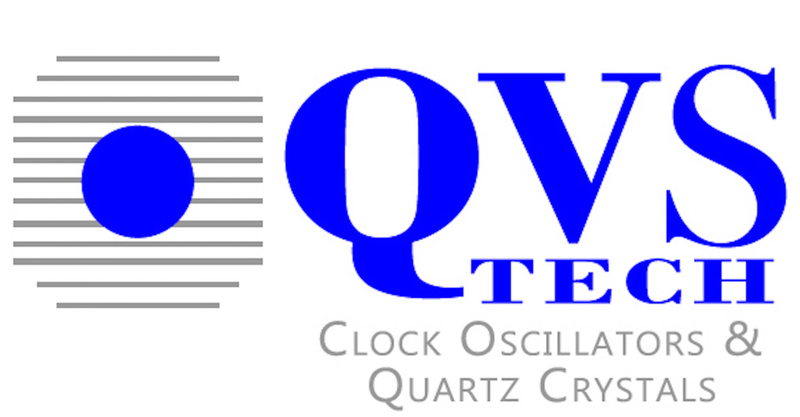 QVS Tech Inc. is a forward thinking, customer service based company that has provided our customers with top quality oscillators and low prices for many years. Our attitude has always been, if the customer is not happy, we are not happy. We feel that this attitude is what makes us stand out in an industry. We know that keeping our customers satisfied is the backbone to our business and we look forward to maintaining that pledge in the future. However, you cannot survive as a company unless you are selling products of the highest quality. QVS Tech Inc. stands by each product we sell, and we know that our customers will find the products that they need with us. Our goal is to make specifying a product as easy as possible so that is why we provide as much information as we can to our customers. Take a look at our new QOS10 Series Surface Mount OCXO. It is 22 x 25 x 12mm and has a frequency range between 10 and 20 MHz. It also has a Sine Wave/HCMOS output and is available with a temperature range of -40°C to +85°C. If you are looking for more information on our surface mount OCXO oscillators, there is a PDF file that can be accessed from the same page. In this file, you can see specifications such as Voltage Control, Stability, Output, Phase Noise, and Temperature. We feel that by providing all this information to you in a format that is easy to use. This is one of many examples of how QVS Tech Inc. is committed to being a superior customer service company. Check out our website and Facebook page, or give us a call at 760-929-8677 to receive a quote or view our catalog with all of our wide range of frequency control products. At QVS Tech Inc. we are here to give you the exact product you need at competitive prices.